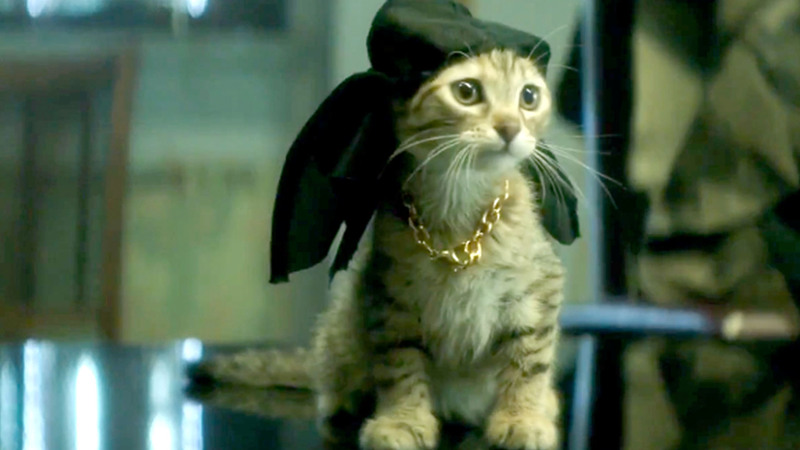 After his girlfriend breaks up with him, Rell (Jordan Peele, also co-writer) comes across cute kitten Keanu, who proves to be the saving grace from his post-breakup blues. Rell gets unnaturally attached to Keanu, to the point that when the cat is kidnapped (dare I say cat-napped?) by gangster outfit the 17th St. Blips, he and cousin Clarence (Keegan-Michael Key) must infiltrate the gang and literally save the cat. The lion’s share of comedy in Keanu derives from the two protagonists being fish out of water figures in the gang environment. It plays on similar racial commentary themes that Key & Peele became known for. In the case of Keanu, the hyper-smooth chemistry of Key and Peele remains evident, but not all of the comedy proves fruitful. Once the novelty of the premise wears off, there is less to hold onto humor-wise. Although, analyzing the gangster merit of singer George Michael is something to behold, and the celebrity cameo that happens concurrently also has its moments. This extended scene is the highlight of the film. The acting performances outside of the two leads don’t stand out, mainly due to their roles being severely limited. Characters are derived from stereotypes—purposefully, so that they may be subverted. But this is limiting to the supporting cast on the whole. The direction, too, save for some smooth slo-mo action scenes, is nothing to marvel at. The appeal of this film is single-ended. The characters archetypal. The humor fleeting by the climax. But Keanu holds your attention throughout and has moments that are well-worth the price of admission. The leads, as we have seen in the past, are made for this brand of comedy, and they hold the reins well here.